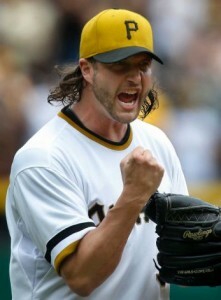 The Pittsburgh Pirates placed RHP Jason Grilli on the 15-day disabled list with a right forearm strain. Grilli was forced to exit Monday’s game after he hurt his forearm on a pitch. The 36-year-old All-Star closer came into the game with a 1.94 ERA in 41 2/3 innings. He had gone 30-for-31 in save chances. Grilli is scheduled to head back to Pittsburgh for tests. Mark Melancon should fill the closer role for now and makes for a must-own in mixed fantasy leagues. Melancon has a 0.97 ERA this season, and saved 20 games for the Astros in 2011.